More consolidation of the global financial services sector is necessary to deal with a changing industry and a widespread investor shift to passive management will lead to thinner margins for fund houses, according to a new survey by New York-based CFA Institute. In its Future State of the Investment Profession report, 84% of 1,145 respondents – mainly senior executives from investment firms all over the world – said they believe there will be more mergers and acquisitions within the industry over the next five to 10 years, in every major market including US, Europe and Hong Kong. The study concludes that “inevitable consolidation” will be felt by all parts of the financial industry with fund houses, brokers, insurance, financial advisers and other investment firms, set for dramatic changes if they are to effectively compete. They also face an “ever-rising tide of new technological challenges”, which, the report states will require considerable investment, with an emphasis on the development of fintech, which will increasingly provide robot-based advisory services. 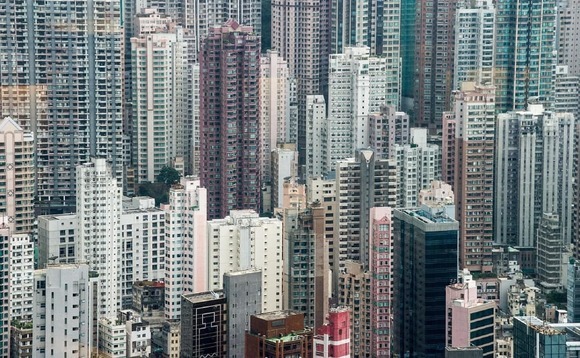 Hong Kong, pictured above, has already seen with rising numbers of mergers and acquisitions between mainland firms and brokerages and insurance companies in the city, with 21 takeover deals within the Hong Kong insurance market alone since 2014, ten of them involving mainland buyers, according to data from Thomson Reuters. There have been 21 takeover deals within the Hong Kong insurance market alone since 2014, ten of them involving mainland buyers, according to the latest data from Thomson Reuters. The report authors, the CFA Institute, said that the industry is preparing for the fact that more investors are opting for passive investment funds, which charge lower fees, with 70% of respondents believing that investors will increase their investment in vehicles such as exchange traded funds. This could, the report says, spell “bad news” for active fund managers dependent on client fees. Investment professionals surveyed said that they also expect their profit margins to thin, due to keener competition, with 52% of respondents expecting them to lower in the next 5-10 years. Nearly 60% believe institutional investors will look to reduce costs by hiring their own in-house staff to handle their investments. Again Hong Kong is already witnessing these trends first hand, a prime example being the city’s Mandatory Provident Fund reforms that started from April 1, requiring all MPF providers to lower their fees for default investment funds, with management fees capped at 0.75%, other fees capped at 0.2%, bringing total fees no higher than 0.95% – considerably lower than the 1.56% market average. The general atmosphere in the industry is of tough times ahead, especially for pension managers. The silver lining could, of course, be that as MPF fees continue to lower, that may also help encourage more people to voluntarily put in more money, meaning bigger fund sizes, which could bring in more fee income for fund managers. The report also highlighted how ‘scenario planning’ can help companies make informed decisions. The report read: “Even when forecasts are directionally correct in finance, they are usu- ally specifically wrong. That is because the future of finance is created by a combination of many moving parts and legions of complex interactions; the result is inherently impossible to predict. “Consequently, we use scenario planning to reveal insights about the future state of the investment profession, regardless of what future unfolds. The above image highlights how ‘megatrends can combine for possible futures’ over a 5-10 period.